Between the best entry level and the best premium full face helmets, there is a lot of space and plenty of helmet. So what we have done is pick out the best helmets for the mid-range, full face range. For our list we have the Shoei NXR, the HJC RPHA 70, AGV K5 S, Schuberth R2 and the Shark Spartan Carbon. Now I guess, I should define what mid-range is, well it is about 400 USD RRP. All of these helmets will sit in at 400 – 500 USD and the prices are for the base designs. So because the price is pretty similar, we are just going to look at these helmets in the order that I feel like. There are a couple of things that we won’t mention after this because all the helmets have them. So the liners are all removable, washable, then all of these helmets have some sort of anti-fog lens provided in the box. This is all standard and first up, is Shark’s contribution to this list. 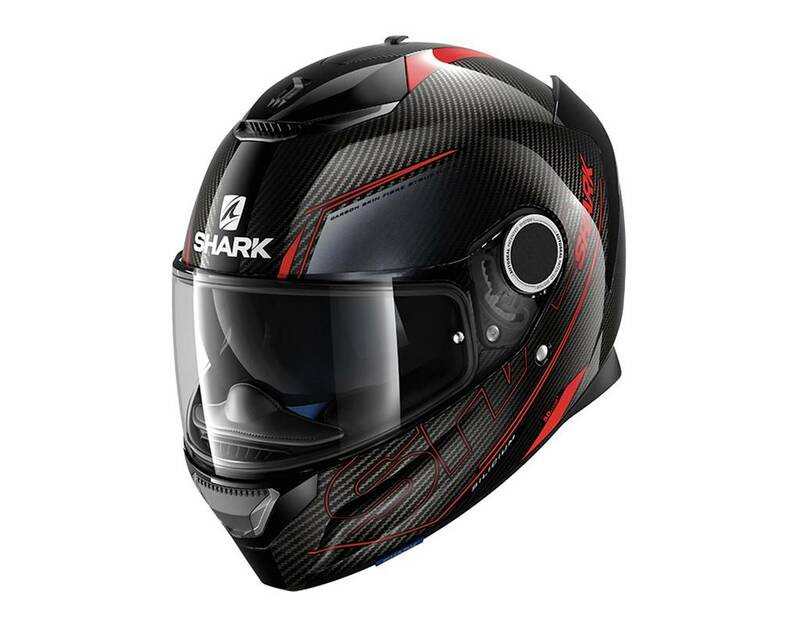 The Shark Spartan Carbon is a sports-touring helmet but because of its lighter weight, it leans slightly more towards sport than its not carbon sibling. As the name suggests, this helmet has been made with carbon fiber but also with some fiberglass. This has reduced the weight and we now have a helmet that will only weigh around 1300 grams. Sadly the shell is only available in 2 different sizes though. It did score a 4/5 star safety rating in the SHARP test though which is pretty good. Vents on the chin and the brow of the helmet can be individually opened and closed and can be used in a touring position as well as a tuck. Then it will let air out via vents under the spoilers. The Spartan will also come with a drop down sun visor which is controlled using a slider, which has positioned at the back of the head for some reason. Finally, it also comes with a double D enclosure system. 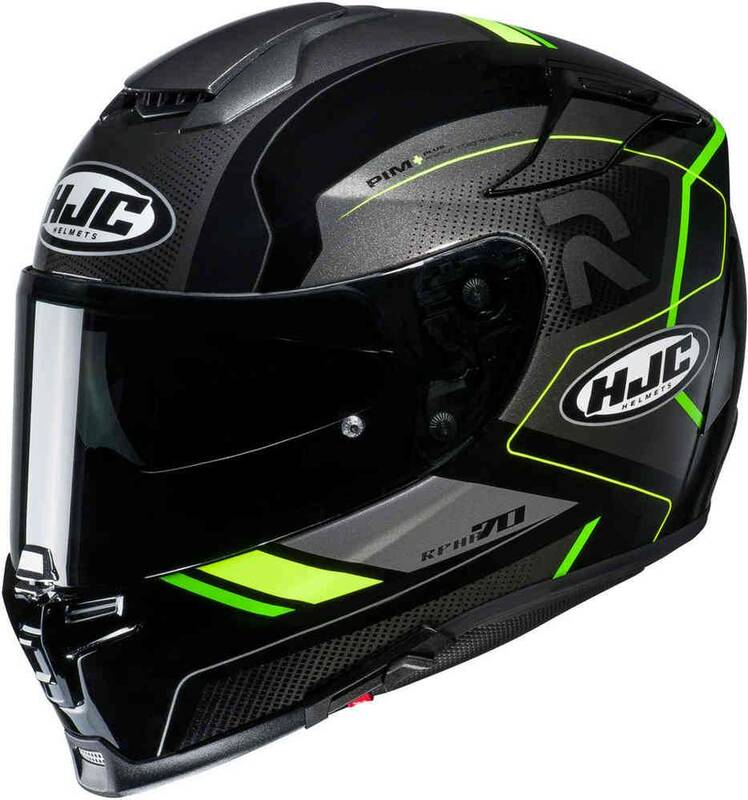 The HJC RPHA 70 is a sports-touring helmet like the Spartan and it shares quite a few features. One area where it differs though is the weight, with this helmet coming in at around 1400 grams. The shell has been made out of different layers of materials like carbon fiber and fiberglass, plus it is available in 3 different sizes. In the SHARP test, they managed to score a disappointing 3/5 stars though, which was a pretty disappointing result for a shell with such premium materials. In something of an interesting move, HJC made the top vent also act as an exhaust. Now while this may sound crazy it does work and the ventilation is good on the RPHA 7. There is a drop down sun visor but on this helmet it is controlled by a slider on the bottom of the helmet, which is a much better place in my opinion. For your safety the helmet comes with an emergency quick release for the cheek pads and also a double D ring enclosure. The AGV K5 is a sports helmet made to excel in this area. 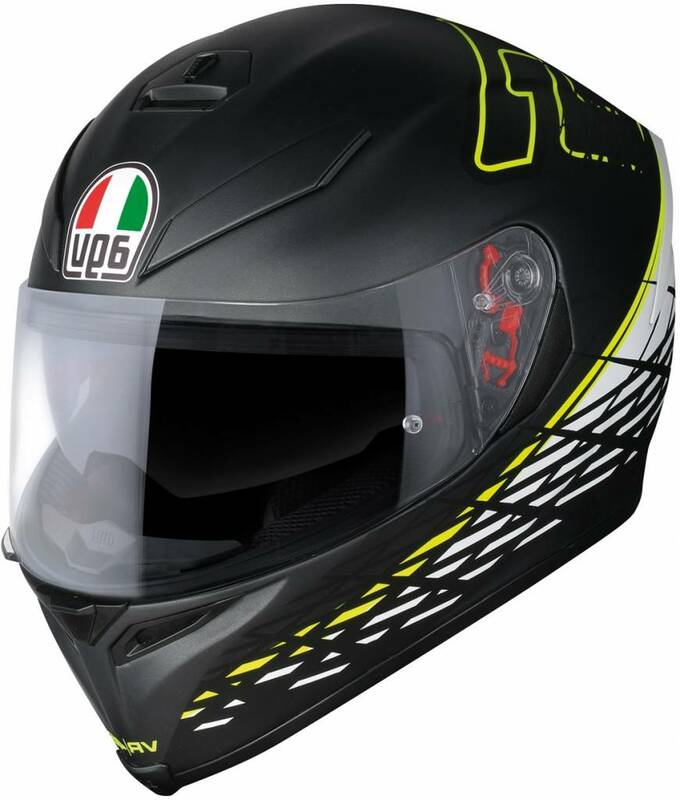 It is pretty typical of AGV so of course, it is a sports helmet, but it can also be used as a touring helmet, though it is less specialized as one. You get a very light, very well ventilated and aerodynamic helmet with the K5. It is made out of Carbon fiber and fiberglass, which gives it that lightweight and strong shell. This helmet scored a respectable 4/5 stars in SHARPS safety rating test. The ventilation is strong and really resembles that of the AGV Pista GP R. The liner on this helmet is a little special as well. It comes with Ritmo and Shalimar fabrics to maximise the comfort of the liner. There is also a drop down sun visor and a double D ring retention system. So this a very functional sports helmet with the features of a tourer as well. So this here is the Schuberth R2, an everything type of helmet that will perform just about as well as a sports or as a touring helmet. It has a direct fiber processed shell made out of fiberglass and it sadly has not yet been rated by SHARP. So in terms of safety performance, all we know is that it is safe enough to pass the ECE testing. It comes with a double d ring, an emergency quick release system and it is plug and go prepared for the Sena SC1 system. This helmet does not have an internal sun visor though and it lacks a dedicated exhaust vent. Instead air escapes out of a gap in the neck which can be somewhat limiting in terms of ventilation. While it does both sports and tour riding about equally, it also means it lacks specialization, so keep that in mind and if you’re a versatile rider, you could benefit from an equally versatile helmet. Finally we have come to the Shoei NXR. 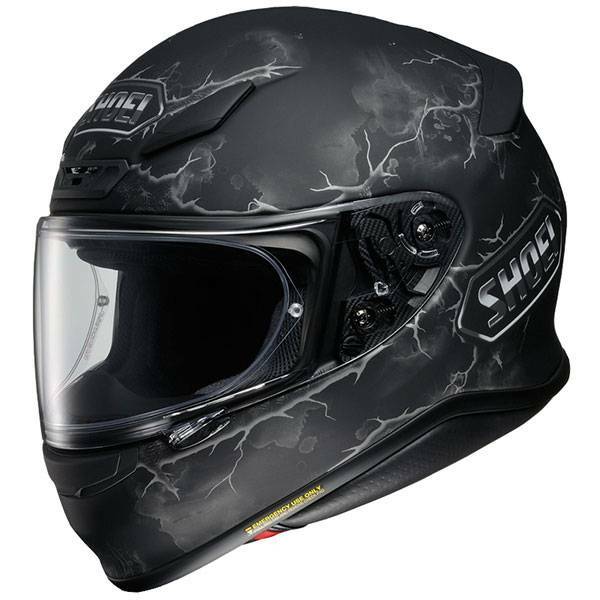 This is one of Shoei’s more affordable helmets and it has been a favourite of riders all around the world for some time. Some of you may know it as the Shoei RF-1200 though if you are from outside of Europe. This helmet is a sports/tourer which has something of a heavier focus upon sports. 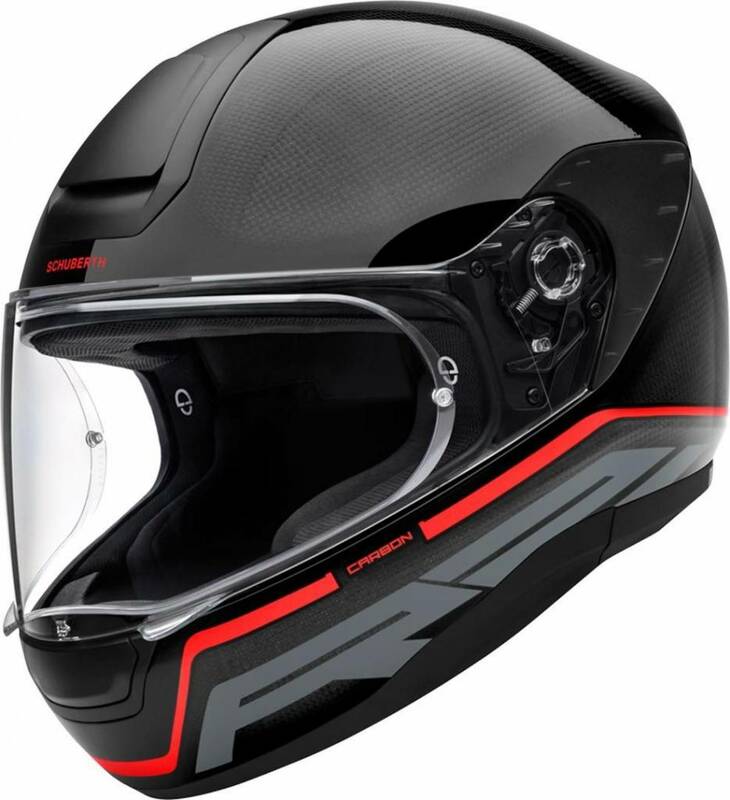 The shell is Shoei’s advanced integrated matrix, meaning it is largely fiberglass and it has achieved 4/5 stars from SHARP. So it has very strong ventilation, which you can see from all these vents and it also comes with a double d ring system, plus an emergency quick release on the cheek pads. It has also been designed to be very quiet, though we will see exactly how quiet in a moment. 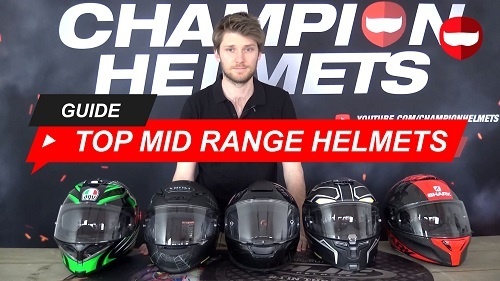 These are our top 5 mid-range helmets but we have put them through some test. First, I have weighed all of these helmets and they are all in the same size, so this is a fair comparison. That is a size M, by the way. So the results were very good overall. There is a reason we made these our top 5. All the helmets came in at 1.3kg to 1.4 kg. The NXR was the lightest at 1.3kg, the R2 and Spartan were 1.35kg and then the K5 and RPHA 70 came in at 1.4kg. So this is pretty well below the average for a mid-range, full face helmet and the results were good to see. These are the amount of decibels blocked by each helmet. This result came from taking the score a helmet received and then subtracting the score which the control (without helmet) achieved. So these are the amount of decibels which the shell and liner of each helmet as able to block. The Spartan was not the greatest result but the RPHA 70 and the K5 S scored very strong resutls. If one of these helmets has managed to catch your eye or you just want to know a little more, then check out our website. Here you can find plenty of info and you can always email us or live chat with us if you want to know more. Alright guys, this has been our top 5 mid-range, full face helmets of 2019. I hope you guys have found this useful and if you did, make sure to check out our YouTube channel, where you can see this as a film and plenty of others. Thanks for reading.